Interesting. You may be right. I'm betting that Christine and Neil find creative common ground and write some gems together. Neil ends up writing songs wherever he goes so wouldn't be a surprise. He's a songwriting machine. The fans on the Finn Forum see the Fleetwood Mac thing as a "hired gun" assignment where there's little chance for creative output and simply a pay day for Neil. They don't begrudge that and are happy that Neil will get paid for his talent but would prefer more Neil new material instead of tours. Different perspectives. The other story I should tell is about the song "Anger Plays A Part" mentioned above. That's the song that will be on the new Neil/Liam Finn album coming out in August. When I saw Neil perform earlier this month, he told the story of Liam bringing that song to him and Neil being so proud of his son for writing such a great song. Neil got choked up saying how much he loved the song. Such a nice thing when one of your children makes a dad proud. "Message To My Girl" is such a magnificent Neil song. Has one of my favorite lyrics ever written ... in the pre-chorus. I think it's time I made it heard." Happy 60th birthday Mr. Finn. May you continue to grace us with great songs and great performances and enjoy the continued love of your friends and family. So Neil and Stevie have the same birthday, what a funny coincidence! Stevie is my 2nd favorite member of Fleetwood Mac to be born on May 26. Stevie's birthday is May 26, Neil was born May 27 in Te Awamutu, New Zealand. But when it's 26th in the US, it's the 27th here anyhow due to time differences... They are both having significant birthdays at the same time! 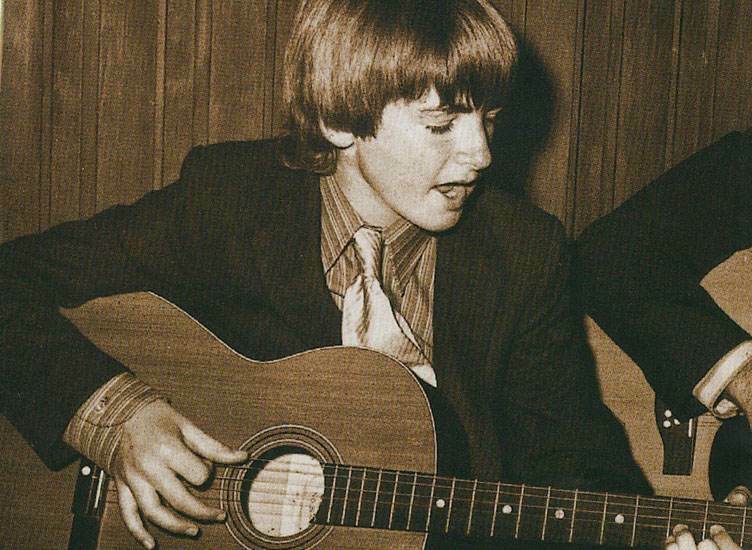 Young Neil on his acoustic. Happy birthday Mr Finn! There's obviously a Lennonesque influence in there too sometimes, but he has his own style. Sometimes I think he can get to a near baritone, and in harmony he has a good higher range. The Finns have been noted for their harmonic singing and all of them seem to be multitalented and musical. John Wayne was also born on May 26. Hard to say how he stacks up to Stevie. Just posted on Neil Finn's social media sites ... a short video of some of the folks who played on the soon to be released studio album by Neil and his son Liam. The album will be released in August. Well, pilgrim…I can't sing or dance but I can go to the hospitals and give them something to write home about. Neil Finn just posted his new song "Back To Life" (with his talented son Liam Finn). See below. Classic Finn ... with one of those killer Finn bridges. Enjoy! Last edited by Sugar Mouse : 06-05-2018 at 03:22 PM.